Many rubbers on BSA were common for most models. 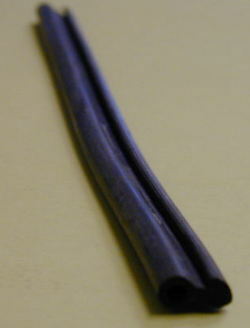 These were used on the more modest BSA models. Bantams, B40's, M20 etc. 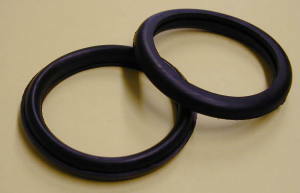 Nice quality rubber, price per pair. 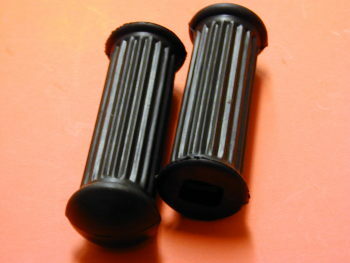 These BSA pillion rubbers with a square hole were used on most models. 67-5088 speedo rubber nacelle. The slots are staggered so you can actually fit your Chronometric in the headlamp nacelle. These rubbers have the square hole that is needed for the footrests of the 1971-73 oil frame.